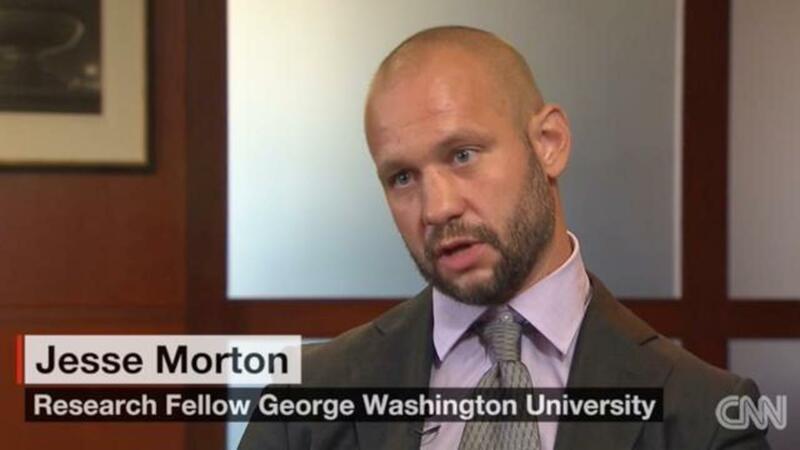 Jesse Morton, the Pennsylvania man who was once a recruiter for al-Qaeda, has taken a job at the George Washington University's Center for Cyber and Homeland Security, reports CNN. According to the New York Times, when he was active with the terrorist group, one of his main means of identifying and cultivating members was his website, Revolution Muslim. Morton also used the platform to provide instructions on how to carry out acts of violence against the U.S. and, sometimes, specific individuals. In 2012, he landed in jail for making threats against the South Park creators, who depicted the Prophet Muhammad in a bear costume. According to him, he abandoned his extremist ideologies while in prison, a change that came in large part through reading works by philosophers of the Enlightenment. Morton said, "In Locke, I found tolerance and secularism. In Rousseau's social contract, I saw the value of democracy." Now, George Washington University is looking to him to help battle terrorism, notes PBS. In regards to his past, Morgan told the New York Times, "As many people as may have traveled, or may have committed criminal acts, because of my words, I hope that I can deter just as many. I may never be able to repair the damage that I have done, but I think I can at least try."